We all know how important it is that our primary school teachers are highly qualified, but what is less known is what impact the room where children are taught has on their achievement or performance. 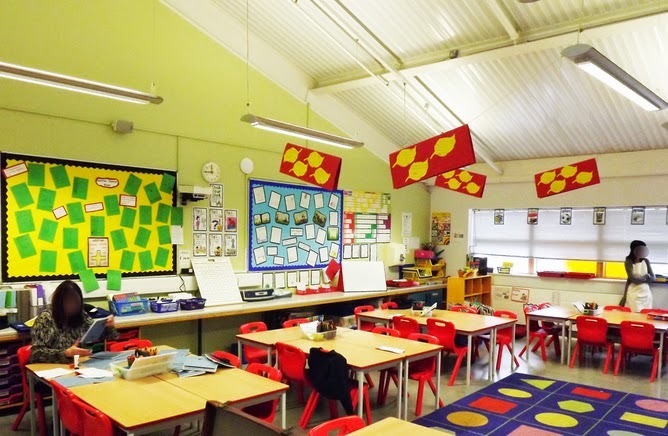 Results of a three-year research project have shown that the design of a classroom at primary school level can boost learning progress by up to 16% in a single year. Our team of researchers visited 27 schools in Blackpool, Hampshire and Ealing, carrying out detailed surveys of more than 150 classrooms in varying geographical and socio-economic contexts. Our resulting report analysed the performance of 3,766 pupils between the ages of five and 11 in relation to the design of their classroom, providing clear evidence for the first time that it had a dramatic affect on their attainment levels. While we were aware that specific elements such as “air quality” have been analysed before, it was the first time researchers had ever gone into real schools and discovered the impact on children’s learning of every aspect of a classroom. For each pupil in the study, we looked at the teacher-assessed grades in reading, writing and mathematics at the start and the end of the year, so that their progress in each subject could be calculated. These subjects are typically taught in the same classroom, which represents a permanent learning space for the children at primary school level, unlike in a secondary school where students often move from room to room for their different subjects. It was from this data that we could estimate that moving the “average” pupil from the least effective classroom to the most effective classroom accounted for an increase in pupil performance of 1.3 sub-levels of the national curriculum in a single year. The national curriculum is divided into eight levels, each with three sub-levels, used to measure children’s progress. Progress of 1.3 sub-levels based on the classroom environment is a big impact when the Department of Education expects primary school children to progress by two sub-levels in a year. Our study assessed the effectiveness of the spaces for learning in three categories: naturalness, individualisation and stimulation. These were divided into more detailed factors. Naturalness factors included light, temperature and air quality. Individualisation included a child’s “ownership” of the classroom, such as their ability to personalise it and the flexibility of the layout. Stimulation factors included visual complexity and colour. Of the three categories, we found that naturalness was responsible for half of the overall 16% impact and both individualisation and stimulation each accounted for approximately a quarter of the boost in performance. Our report is as much designed for a teacher in the classroom, or a designer at their drawing board, as it is for academics. We have provided teachers with a series of illustrated options they can consider in their own classrooms to make real and cost-effective changes. Just changing the layout of the room or the choices of display on the walls in line with our suggestions can have a tangible effect and need not be expensive. For example, I completely understand a teacher’s desire to use displays to create a stimulating environment. But we found that as a general rule of thumb, a subtle balance of teacher-created and pupils’ work on the walls, while keeping around 20-50% clear, seems to provide the optimum conditions for learning. Outside the classrooms themselves, the design of the school in general: navigation routes, specialist facilities and play areas, was found to be not as important as the design of individual classrooms. This research has made good progress in the area of the design of effective learning spaces in primary schools. In the process, ideas and techniques have been developed that we hope will enable inroads to be made in designs for secondary schools, universities as well as care facilities and offices.